This is my latest i-Pad Cover. You'll find the original post here. I didn't like the added bulk in the zippered pocket of the original. So I changed it. And I like it soooo much better. It's easier, less bulky and works just as well. And this is the pocket. So here is how I changed it. Instead of cutting all the pieces for the original pocket, cut one piece 7x16. This one piece will be your pocket. Also cut a piece of fusible interfacing the same size. For this case, I used Pellon 101. 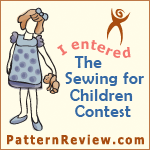 It was much better than the medium weight interfacing. I used it for the entire case. Here are your new material requirements in you want to use this new method. 1 piece cut to 27" x 11"
1 piece cut to 7" x 16"
2 pieces cut to 27" x 11"
Batting -I used a thicker batting this time and only used one piece. I really needed 2, so use 2! Your first order of business is to fuse your Pellon to all of your pieces on the wrong side of course. Now you'll need to mark your fabric for the pocket. Take your main piece and fold up the bottom to 8 1/2" right sides together as shown. Make a mark 2 1/2" from the top as shown. The mark should also be centered from side to side. Okay, so this next photo is awful!! I'm warning you ahead of time. I was snapping these pics as I went along, so you are seeing all my mistakes too! Draw a 7" line right on top of the mark you just made. It should be centered! Come directly below that 3/8" and draw another line. Connect those two lines to make a box. Now you want another line right in the middle separating the first two, and this will be your cutting line. Now measure in 1/2" from each side of your cutting line and draw lines from that mark to the corners. You'll have little triangles at each end. In my picture, I have too many lines. Pay attention to the line that connects the triangle. Now very carefully cut the middle line (cutting line) between the two triangles. Also cut the lines into the corner. Do NOT cut past the triangles on the straight line - only the ones to the corners. Press open all edges to the outside. Now flip it over and place your zipper underneath. Now pin it in place. Use your zipper foot and stitch all the way around. And it will look like this. Now we will sew your pocket piece to the zipper. Place one short side of your pocket piece right side down across the top of the zipper tape. I slid it down just a smidge just to show you but you want it even with that edge. It will overhang on each side by 1/2". That's okay. Pin it in place. It will look like this. 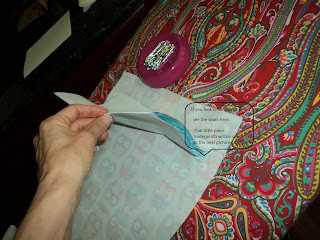 Stitch them together using a 1/4" seam. Make sure you push back the main piece. You do not stitch to this piece. This picture is blurry, but you can see how I have it on my machine. Fold it over and press that seam really well. Now take the other edge and fold it over to attach it to the other side of the zipper tape. Pin it in place, and stitch 1/4" seam just like before. Then press it down really well. You want a good crease on that last seam. See that little seam allowance underneath in the photo, you'll see that again in the next, because this can get a little tricky. It's time to stitch the sides of the pocket closed. fold the pocket back over so that it is on one side and the main fabric is on the other. Run your seam with that seam allowance folded back but the top seam allowance has to be open as shown. The bottom seam allowance from the first picture is now on top and folded back. If you don't do it this way, it will be too bulky. That zipper tape does not fold well. Now your pocket is complete and looks like this. Now add any trim. Don't forget your Velcro closures. Now you can put all your pieces together and sew them together leaving an opening in the side for turning. I put my main fabric together with my lining right sides together, then my batting on one side. Sew a 1/4" seam around the whole thing, trim the batting, turn it, press it, then run a scant 1/8" top stitch around the whole thing closing the opening. Refer to the original post for further instruction. Tutorial: Interlined Window Panels - UGA themed!